These photos are from a collection that belong to my dad, Cpl. 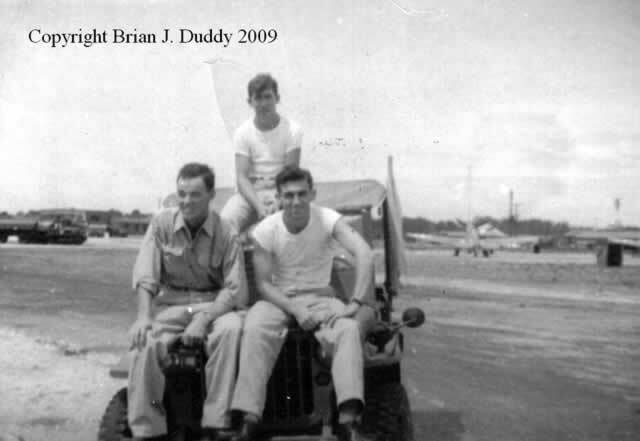 John Duddy, USAAF. 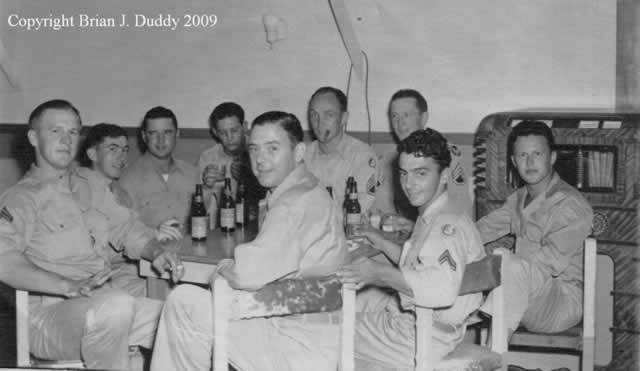 As far as I know, they were all taken at Sarasota AAF, FL, probably in late 1943 or early 1944. 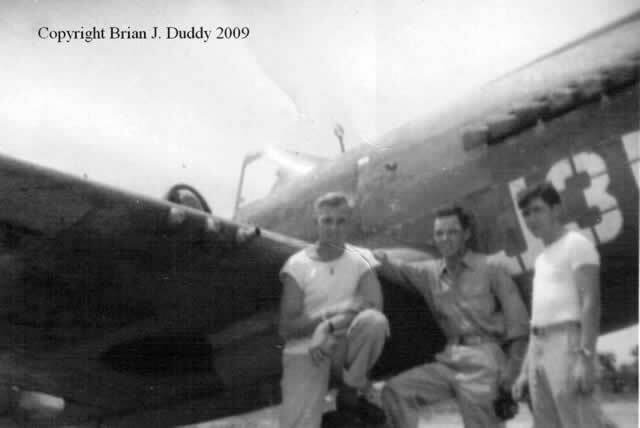 He was an aircraft mechanic/crew chief on P-40s. The unit is likely the 98th Fighter Squadron of the 337th Fighter Group, 3rd Air Force. It was a Training Command fighter training unit, preparing replacement pilots to be sent overseas. 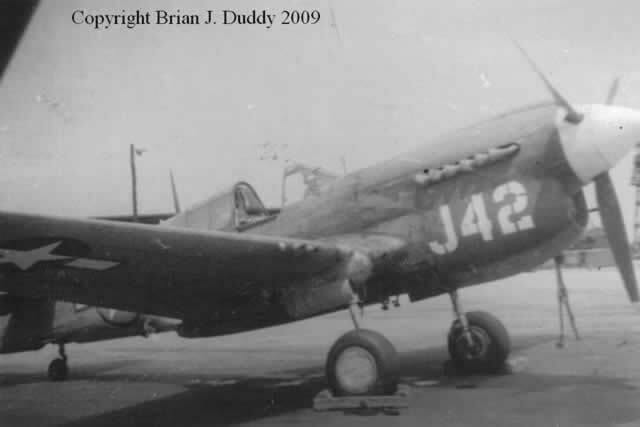 The P-40s were finished in standard olive drab and neutral gray paint, with no markings other than national insignia, serial numbers and the large white J squadron/aircraft numbers on the nose. 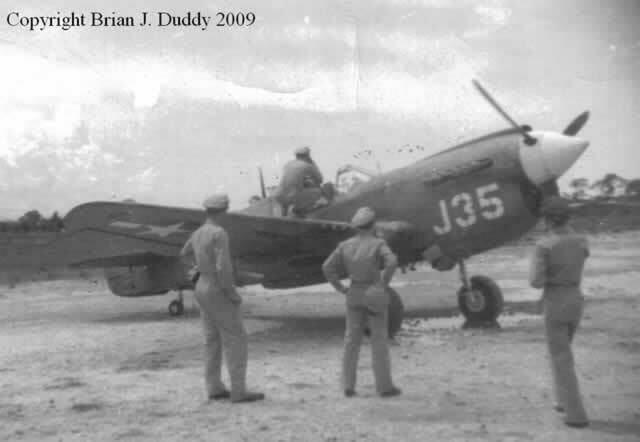 From the photos, they are either P-40 E or K models.  The tails are not clearly visible in the photographs, which makes further identification impossible. In early 1944, the unit converted over to P-51s. My dad graduated from High School in 1940. 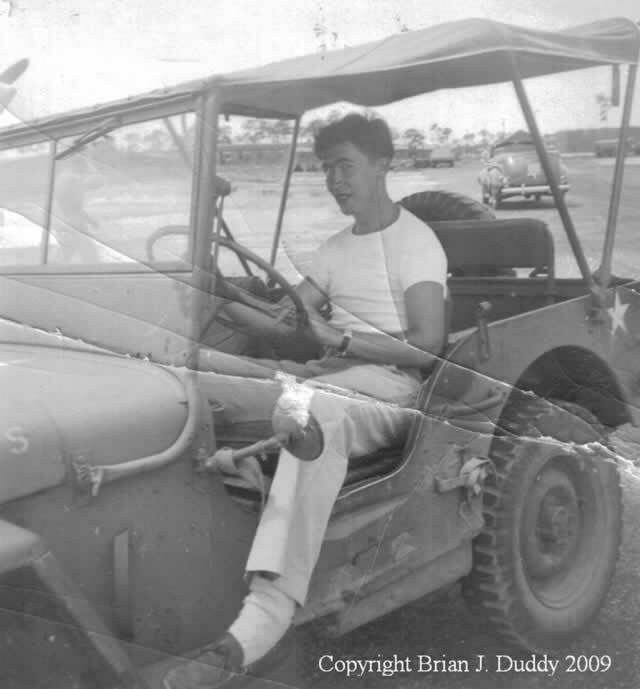 After graduation he got a job at Curtiss Wright in Buffalo, building the P-40 aircraft. 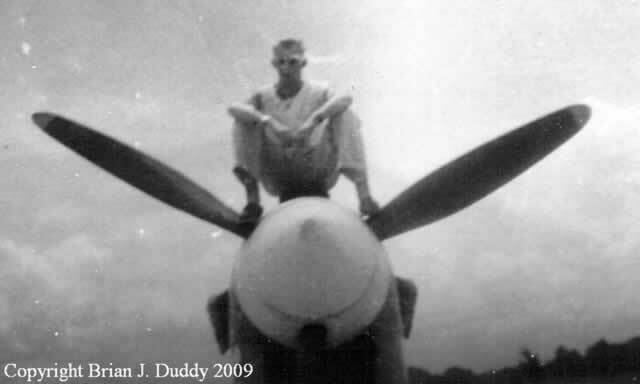 He was a sheet metal mechanic, responsible for fabricating the cowlings and skin that went around the engine. He was working at the plant on September 11, 1942, when a new P-40 on an acceptance test flight caught fire and crashed through the roof of the factory, killing 14 people. Most of the workers did not know until the next day that it was an aircraft that had crashed into the building. Many assumed that there had been an explosion in the paint shop. 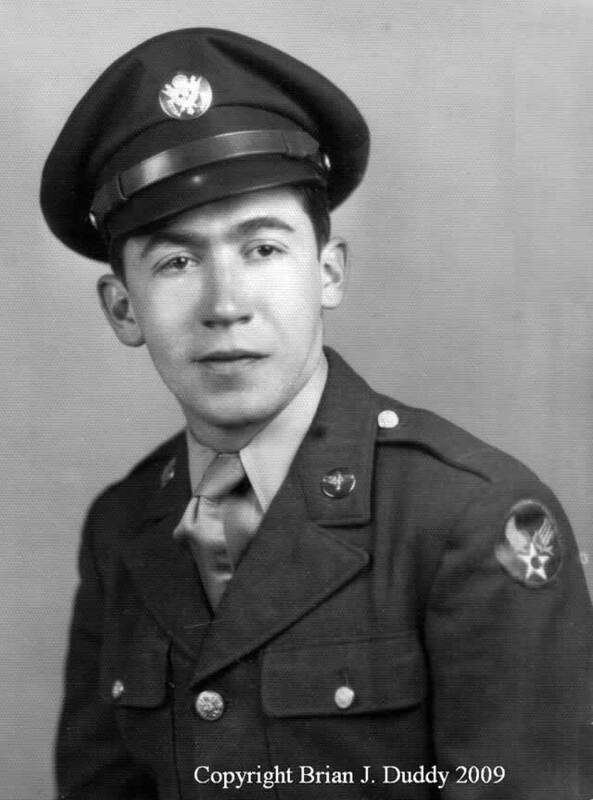 My dad was drafted into the Army in January 1943. 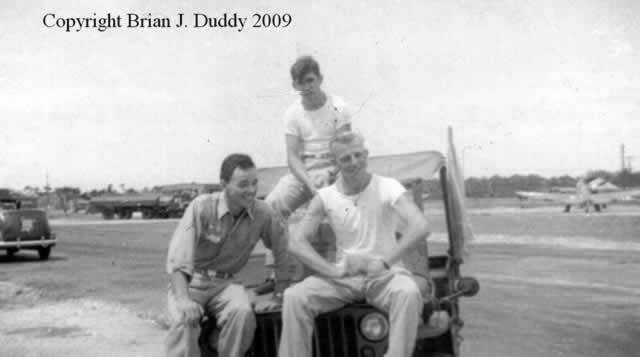 After basic training, he was sent to pilot training at Ryan Field in Tucson. 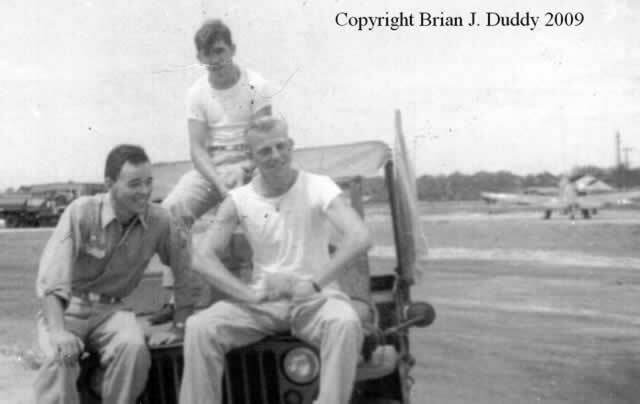 After a few months, he washed out, he says, because he was caught sleeping in class too many times. Due to his previous experience as an aircraft mechanic, he was sent to AAF mechanics training in Lincoln Nebraska. From there he went on to Sarasota. And in an ironic twist, went to work on the same P-40s he ha been building in Buffalo! 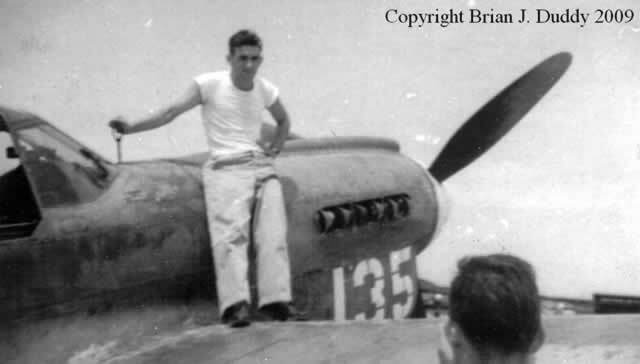 In February 1944, along with a bunch of other mechanics from his unit, he was sent to the P-51 Service Course at North American Aviation in Inglewood, CA, to prepare for the aircraft conversion in his squadron. 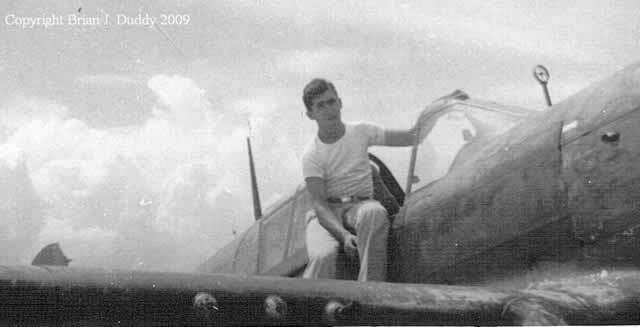 He remembered that most of the P-51s they received were D models and that some of the student pilots also came from Latin American nations. The P-51s were all natural metal finish, but now with black J numbers on the nose. He stayed at Sarasota until the end of the war and was then transferred to Pinecastle AAF in Orlando. He remembered the rumors floating around Pinecastle about the new rocket plane being tested there. The rumors turned out to be true, as the Bell X-1 research aircraft flew its first unpowered glide flights at Pinecastle before the program was moved to Muroc AAF, which later became Edwards AFB. 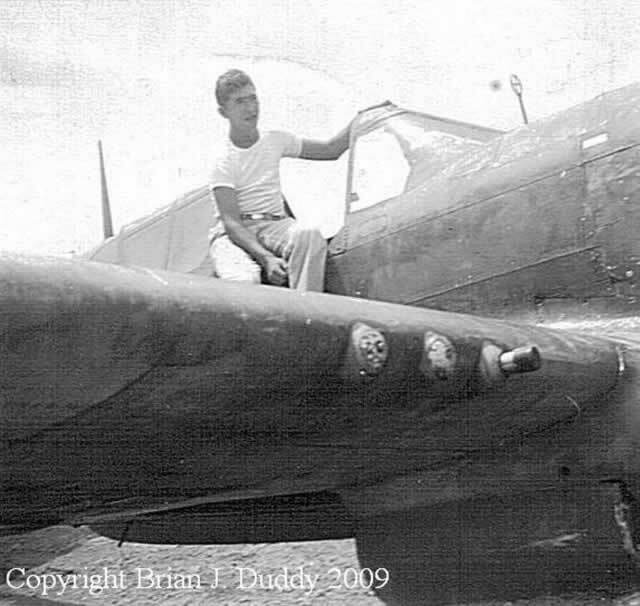 My dad had a strong affection for both the P-40 and the P-51. 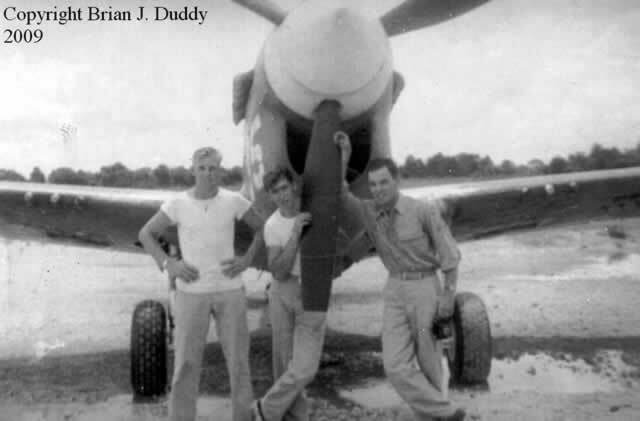 His unit did have a two-seat P-51 that was converted from a standard D model by removing the fuselage fuel tank. He was able to get a few rides in that, including one trip from Sarasota to Mississippi when the airplanes had to be relocated out of the path of an approaching hurricane! 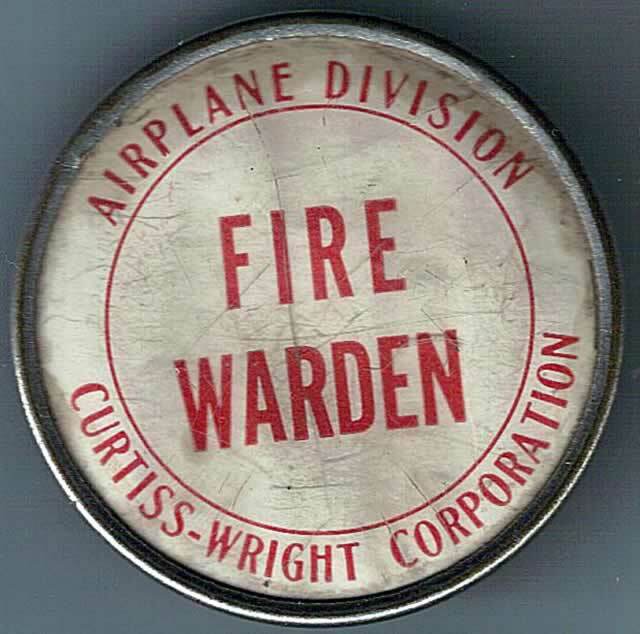 The other photos are of items he had when he worked at Curtiss Wright  a Fire Wardens badge and a large medallion given to the workers in recognition of meeting production quotas for the war effort. It is dated August 1942. 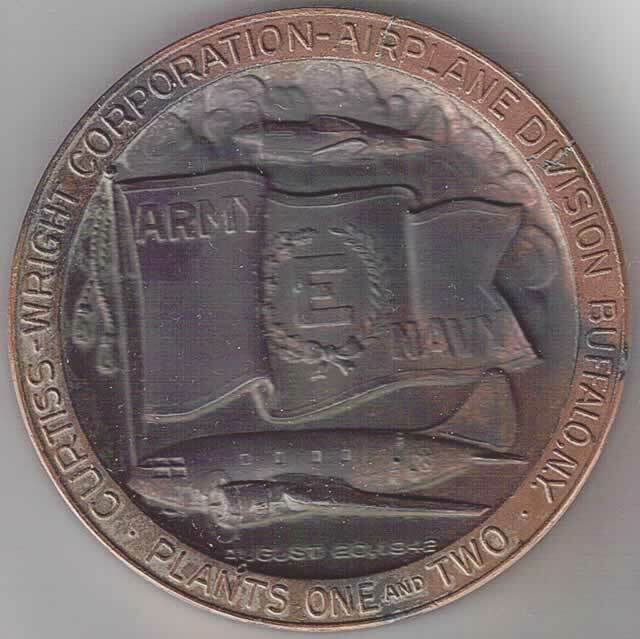 You can notice the fine relief images of both the P-40 and the C-46 transport. The Texaco ad was something I picked up at an antique market many years ago. 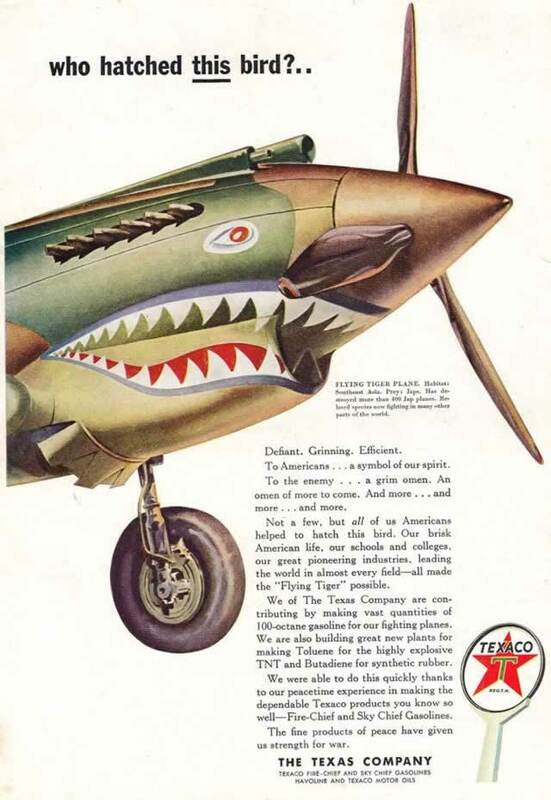 Its a great painting of the sharkmouth insignia of the Flying Tigers.